Approximately 80% of women develop stretch marks during pregnancy. Apart from pregnancy, puberty, and rapid weight gain or loss can also result in developing stretch marks. Generally, when the skin gets stretched rapidly the collagen gets damaged. The skin tissues and elasticity loosens appearing as stripes. Prevention is the best method to avoid embarrassing stretch marks. But once you got them it is a little difficult to repair the skin tissues and regain elasticity. As the skin of stretch marks is delicate, in worse conditions skin infections may develop in stretch marks but it is very scarce. Laser treatments and other topical treatments are available but home remedies can a better option in terms of safety and effectiveness. Do you love coffee? Do you know that it can reduce the appearance of stretch marks? In this article, you will learn about coffee scrub for stretch marks. Is Coffee Scrub Really Effective for Stretch Marks? Coffee scrub exfoliates the accumulated dead skin cells and loose skin. It stimulates the blood circulation and flow. It encourages the generation of new and healthy skin cells. It locks the moisture in the cells to make the skin look supple and firm. It lightens and tightens the skin. The caffeine improves the collagen production. The antioxidants present it deal with the free radical damage. How to Use Coffee Scrub for Stretch Marks? We have listed down a description of remedies using coffee grounds. Choose one of the as per your convenience and try them to get rid of stretch marks. Mix enough amounts of ground coffee and lukewarm water. Massage the mixture on stretch marks 5 minutes. Aloe vera contains vitamin C and E which encourage collagen production and moisturize the skin. Brew some coffee and strain to separate the coffee grounds. To coffee grounds add freshly extracted aloe vera gel. Massage the mixture on stretch marks for 5 minutes. Leave it on for 10 minutes and rinse off with lukewarm water. Olive Oil naturally moisturizes and nourishes your skin. Mix 1/2 cup ground coffee and 3 tablespoons olive oil. Gently scrub the mixture on stretch marks for 5 minutes. Combine 2 tablespoons coffee grounds, 1/4 cup Greek yogurt and juice of half lemon. Mix all the ingredients together and apply it on the stretch marks. After 10 minutes, gently massage the mixture for 5 minutes. Repeat twice in a week. Combine 1/2 cup each of coconut oil (liquefied) and coffee grounds. Pour the mixture into moulds and let it rest for 5 hours. Remove them from moulds, place them in an airtight container or zip loc bag. Before going to bath, take out one cube and scrub on the stretch marks. After 5 minutes, wash and bath normally. Alternatively, you can prepare fresh mixture of coconut oil and coffee grounds. Scrub the mixture immediately for few minutes and rinse off. Mix 3/4 cup of ground coffee beans, 1 tablespoon olive oil, few drops of lemon juice, 2 tablespoons each of brown sugar and sea salt. Let it rest for 15 minutes and rinse off with lukewarm water. Mix 1/2 cup each of coffee grounds, coconut oil and brown sugar. Add 1 tablespoon cinnamon powder and stir well. Scoop out enough amounts of the mixture and apply on stretch marks. Gently massage for 5 minutes and leave it on for 15 minutes. Mix 1 cup ground coffee, 10 drops orange essential oil, 1/2 cup sugar, 1/4 each of almond oil and vitamin E oil. Wet the area with stretch marks and apply enough amounts of mixture on the skin. Gently massage for few minutes and let it sit for 20 minutes. Store the remaining in the refrigerator for future use. Mix 1/2 cup coffee grounds, 1 1/2 cup organic cane sugar, 1/4 cup ground oatmeal, 3 tablespoons coconut oil, 1 tablespoon calendula infused oil, 2 tablespoons honey, 1/2 tablespoon vanilla extract and 2 drops peppermint oil. Scoop out enough amounts of mixture and massage gently on stretch marks. Ginger helps to reduce hypo-pigmented skin, improves and prevents damage caused by free radicals. Mix 4 tablespoon ground ginger, 1 tablespoon ginger powder and 1/2 teaspoon turmeric. Gently massage the mixture on stretch marks for few minutes. Melt shea butter using a double boiler. Combine enough amounts of coffee grounds and shea butter. Repeat the 3 times a week. Mix enough amounts of ground coffee with mayonnaise. Gently massage the mixture on stretch marks for 5 minutes. Combine 2 tablespoons of coffee grinds and 1 tablespoon vitamin E oil. Massage the mixture for few minutes. Wrap the area using a plastic wrap or sauna wrap and leave it overnight. Next morning, remove the wrap and rinse off with water. Mix coffee ground powder with your regular collagen lotion. Apply the mixture on stretch marks and massage for a minute. Wipe off the mixture using a damp cloth. If you are experiencing redness, rashes, burning or irritation after applying coffee scrub then avoid using it. It is better to perform a patch test before regular treatment. Make sure to be gentle while scrubbing the mixture as harshness can worsen the stretch marks. The stretch marks skin is very delicate. Bacteria can easily penetrate or hide and cause infections. So it is very important to maintain a proper hygiene daily. Moisturize the area regularly with coconut oil, shea butter or cocoa butter. During pregnancy, exercise regularly to retain the skin’s elasticity and firmness. Avoid scrubbing on wounds, cut, bruises and blisters. Never scratch the stretch marks as they can weaken the skin. Drink plenty of water to maintain the skin hydrated and supple. Include fresh fruits and veggies with vitamin A, C, and E in your daily diet. 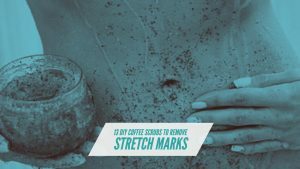 Instead of tossing used ground coffee, now you can use it to treat the stubborn stretch marks. 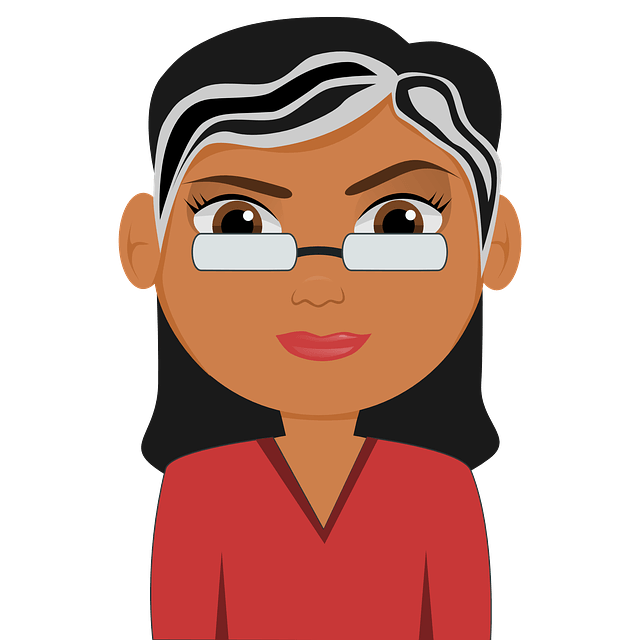 If you have any question related to the article or have any secret remedies then write to us in the comments section below. Visit our website again for more article like this.